We provide security, locks and keys, and more for your home and business. We have a wide selection of the latest technology security systems as well as any more traditional locksmith products in stock. Our locksmiths are trained, experienced and available to help you secure your property. We understand how important it is to keep your home secure. When you need repairs, locks, deadbolts, doorknobs or entire security systems, our professional, expert locksmiths are at your service. 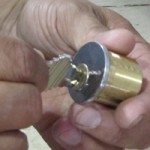 FC Locksmith Unionville is here to assist you. We provide information, advice, estimates, services and training so that you and your authorized personnel will be confident programming and using your security system. We work with you and your particular needs and we use only the best quality products to secure your commercial property inside and out to your specifications. Emergencies do arise. 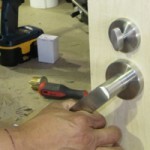 Our professional locksmiths are ready to be of service 24/7. Whether someone is locked out of house or car, or in case of any other emergency locksmith or security services, call FC Locksmith Unionville.